Love international cuisine? Here's your guide to vegetarian versions of all your favorite dishes. Kurma was head chef at the famous Gopal's Restaurant in Melbourne, Australia, for years, and taught cooking on a TV series broadcast internationally. 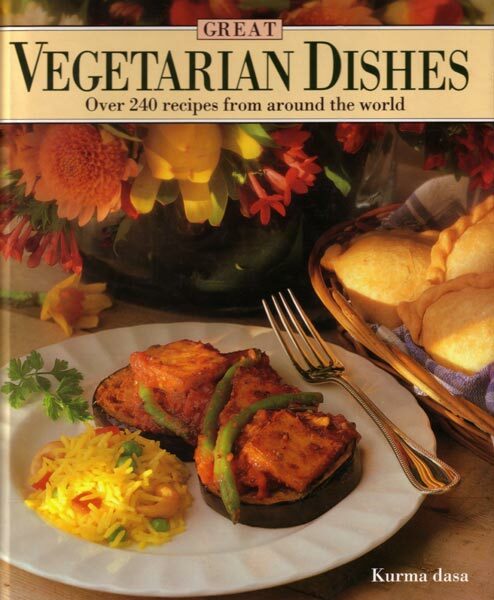 In Great Vegetarian Dishes he presents the best of world cuisine—vegetarian style. Kurma's love of cooking, his flair for the art, and his commitment to vegetarianism shine through as he brings you hundreds of easy, practical recipes. Boil the potato slices in lightly salted water in a 4-litre/quart saucepan until they are cooked but firm. Remove and drain. Add the olive oil to a medium saucepan, over moderate heat and when hot, add the asafoetida. Saute momentarily; add the rosemary, black pepper, and turmeric and stir briefly. Add the sour cream, melted butter, salt, and water. Whisk it into a smooth sauce and remove from the heat. Combine the potato slices and sour cream sauce in a mixing bowl. Pour the mixture into a casserole dish, sprinkle with paprika, and place in the top of a preheated 200°C/390°F oven. Bake for 30 minutes or until the top is golden brown. Garnish with fresh parsley and serve hot. This version of the exotic Gado Gado salad, popular throughout Indonesia, can be served as a side salad to accompany a main meal for four persons, or as a main dish for two persons. Obtain the Chinese bok choy, coconut milk (santan), and the tofu (bean curd) from any well-stocked Chinese or Asian grocer. This salad is served with a steaming-hot peanut dressing. 1/2 medium cucumber, unpeeled and cut into batons. (To cut into batons, cut cucumber into slices 1 cm [3/8 inch] thick and 5 cm [2 inches] long. Blanch the bok choy leaves in boiling water for about 1 minute. Rinse in cold water and drain well. Wash and blanch the bean shoots in a similar fashion, but for just 30 seconds. Rinse and drain. Cook the potatoes whole in lightly salted boiling water until soft; then peel them and cut them into bite-sized pieces. Cook the beans in lightly salted boiling water for five minutes; then drain and allow to cool. Place the oil over moderate heat. When fairly hot 185°C/365°F, deep-fry the cubes of tofu until slightly golden. Remove them with a slotted spoon and drain in a colander. Reduce the oil temperature to about 180°C/355°F and deep-fry the peanuts until golden (2 to 3 minutes). Remove and drain. Deep-fry the Brazil nuts until golden (about 3 minutes) and drain. Place the chili powder, asafoetida, fried nuts, salt, and sugar in a food processor and blend to a smooth powder. Add 1 cup (250 ml) cold water to the blended ingredients. Transfer the contents of the blender to a heavy pan, bring to the boil, and simmer for 5 minutes. Add the coconut milk (santan) and remove from the heat. Pile the Chinese bok choy leaves, bean shoots, potatoes, beans, tofu, cucumber, and watercress in individual neat piles on a large plate. Boil the dressing, add the lime juice, and immediately pour the dressing over the salad. Serve immediately. 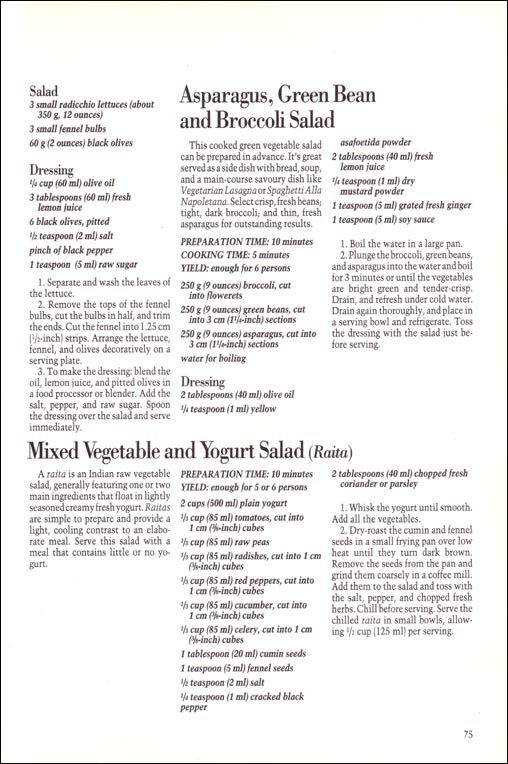 The dressing may be served separately. Pumpkin soup is a great winter favorite. Milk and a simple seasoning of black pepper and nutmeg allow the pumpkin flavor to predominate. Melt half the butter in a 6-litre/quart saucepan over moderate heat. Add the nutmeg, black pepper, and pumpkin cubes and saute for 10 minutes. Add the water and bring to a boil, cooking until the pumpkin is very tender. Empty the contents of the saucepan into a blender and add half the milk. Puree, being careful to ensure the lid remains on the blender. Rinse the saucepan, add remaining butter and heat gently. Stir the flour into the butter. Return the pumpkin puree to the saucepan along with the remaining milk, stirring constantly until the soup is well-blended. Bring to a boil, simmer for a few minutes, and season with salt. Serve the soup in individual pre-warmed soup bowls, garnished with light cream and chopped parsley. Serve hot. Pushpanna is the "queen of rice." It contains pure saffron threads and a variety of nuts, dried fruit, vegetables, and spices. It is ideal served on special festive occasions and is worth the time and effort put into gathering the ingredients. Wash, drain, and dry the rice. Soak the saffron in the milk for 5 minutes. Boil the water, salt, saffron milk, and nutmeg in a 2-litre/quart saucepan over moderate heat. Keep it covered to avoid evaporation. Heat half the ghee or oil in a 4-litre/quart saucepan over moderate heat. Add the cashews and almonds, saute until golden brown, and then remove with a slotted spoon. Set aside. Stir-fry the raisins for a few seconds until they swell, remove them, and place them in a bowl with the cashews and almonds. Add half the remaining ghee or oil to the pan, Saute the rice for 2–3 minutes over moderate heat; then add the boiling water. Stir raise the heat, and bring the water to a full boil. Immediately reduce the heat to low, cover with tight-fitting lid, and gently simmer, without stirring, for 15–20 minutes or until all the water has been absorbed and the rice is tender and flaky. Remove the rice from the heat, leaving the lid on for another 5 minutes to allow the rice to become firm. Place the remaining ghee in a heavy pan over moderate heat. Stir fry the fennel seeds, cinnamon stick, cumin seeds, cardamom pods, and whole cloves for 1 minute or until seeds are golden brown. Add the black pepper, cayenne pepper, asafoetida, and fresh coconut. Saute the coconut for 1 minute; then add the peas, sugar, deep-fried panir, nuts, and raisins. Remove from the heat. Carefully combine the cooked rice with all the other ingredients. 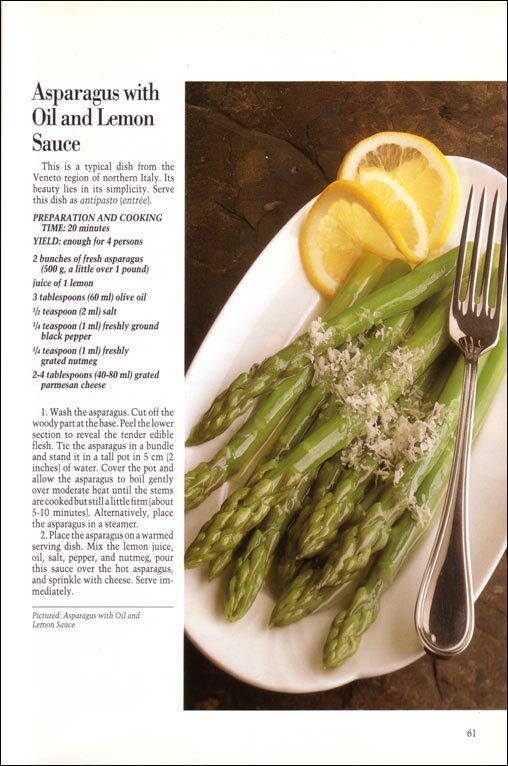 Serve on a warmed serving dish or on individual plates.